Yesterday I wrote about the volunteer gardeners of Elephant and Castle, but that reminds me of something tangential but interesting. In some places, Elephants are known as the ‘gardeners of the forest’. Until recently, most of us believed there were two kinds of elephants – African ones and Asia ones. Then in 2010 a study showed that Africa actually has two kinds and they are genetically different enough to be considered separate species – the African bush elephant that we know, and the African forest elephant, that is more reclusive and less familiar. 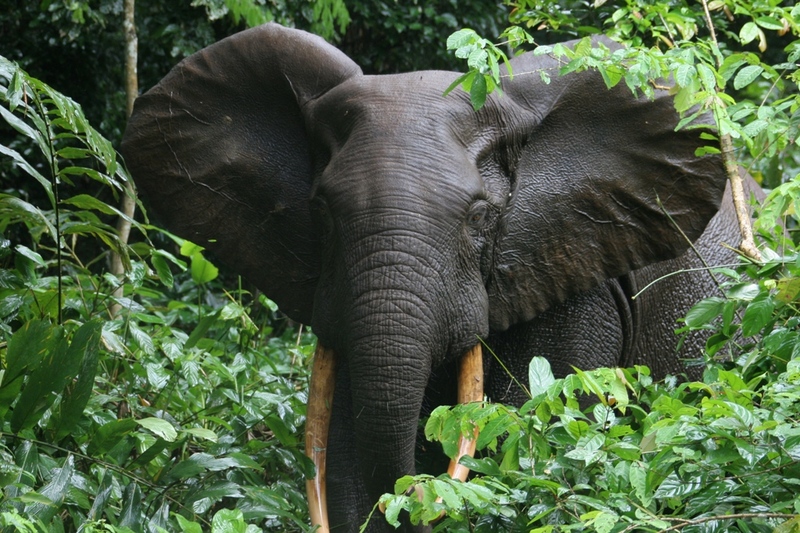 The forest elephant lives in the Congo. It has rounder ears, yellower tusks and it is smaller than its savannah dwelling cousin. They are known as gardeners because they eat plants and fruit, and spread the seeds through their dung. They often carry seeds a long way, breaking them down in their gut and increasing the likelihood of germination, depositing them helpfully in a pile of manure and fulfilling a vital role in sustaining the forest. They have been doing this for so long that some plants are dependent on their elephant caretakers, so specifically adapted that they have no other means of reproducing. It’s a beautiful relationship, when you think about it. The trees offer their seeds to the elephants in the form of tasty fruits. The elephants eat them and return the favour by depositing the seeds, pre-fertilised, elsewhere in the forest. As well as dispersing seeds, elephants create paths and clearing through the forest, trampling down undergrowth and letting in the light. This makes space for new saplings to break through and creates habitats for other creatures. The positive effects of all this echo far beyond plant diversity in the Congo basin. The cooling effect and evaporation from forests plays a role in weather patterns, and they are vital carbon sinks. The good work of the elephants matters to Africa’s rain, and ultimately to global climate change. That’s why it matters that Africa’s elephants are in decline. As ZSL’s magazine puts it, “every year, enough new elephants are born to boost the population in Africa by 5%. But every year, 7% of the population is destroyed by poachers.” If that decline isn’t reversed, then elephants could be extinct in the wild by 2034. Conservation is often portrayed as ‘saving’ a species. But in our inter-connected world, it’s often much bigger than that.